Home for Plumeria Maldives, Thinadhoo is one of the populated islands of Vaavu atoll in Maldives. Surrounded by dazzling sandy beaches and turquoise waters with a great house reef snorkeling, Thinadhoo is a perfect place for a holiday to suit all budgets. Referred to in the past as " Mas Thinadhoo " (Thinadhoo Ashir), this island is known for its rich fish stocks and the variety of marine life found in the blue lagoon. 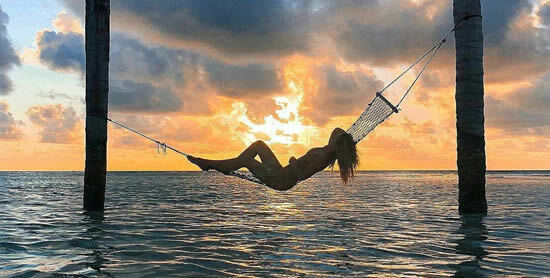 Today, the island of Thinadhoo it is a favorite place for Big-game fishing, snorkeling and diving. An affordable way to explore the country, we can safely say that in Thinadhoo you will find your own piece of paradise. The island has a rich history and culture, but for guests usually beautiful white sandy beaches and clear ocean are the main attractions. A handful of budget hotels are available in Thinadhoo, including high-quality accommodation in Plumeria Maldives. Thinadhoo Island is located in Vaavu Atoll and it's 77 kilometers from Male, the capital of the Maldives. You can get to Thinadhoo by speedboat, ferry or seaplane. Jorney time: 1h 15 min. A private shuttle service from Velana (Male) Airport to Thinadhoo (travel time 1 hour 15 minutes) can also be arranged upon request. This type of transfer is recommended for groups of 6 people. The price of the trip is $ 720 per boat. The seaplane trip to Thinadhoo takes 20 minutes and costs about $ 420 in both ways. 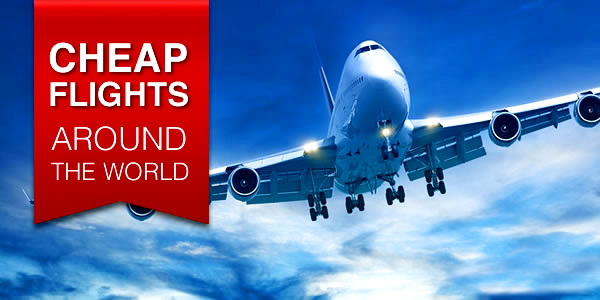 Transfer by seaplane should be booked in advance through your hotel on the island. At first glance, the island is strikingly different from Maafushi, and other inhabited islands, primarily cleanliness. Islanders love their island and keep cleanliness as a private island resort. You do not see any plastic, garbage, old rags and rotting leaves. 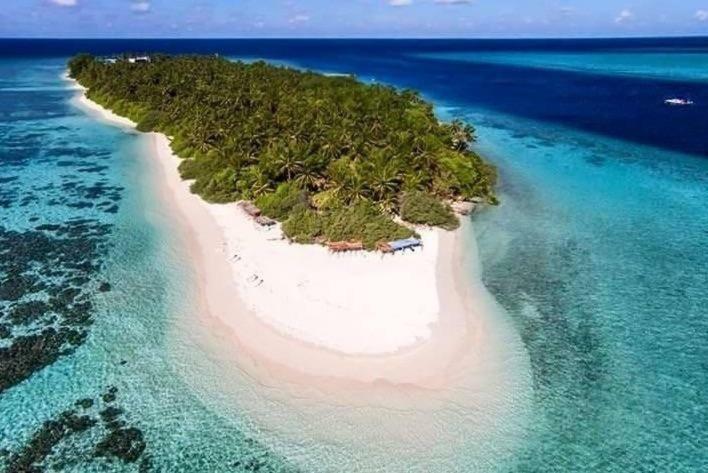 All around the order, the beaches are very clean (I want to say: white and fluffy) and equipped with plastic sun beds, and there are canopies of palm leaves, providing a minimum of amenities for foreign guests. Regularly, the Plumeria Diving and Water Sports Center cleans the island of garbage. The entire north side, from east to west is occupied by a vast house reef. An abundant and diverse marine life, beautiful and healthy corals, many colorful fish, and also you can spot turtles, sharks and rays. The island inhabits approximately 50 people employed in the construction business and in the improvement of the island, that has only a few residential houses of Maldivians. Thinadhoo is really beautiful. You can find several shortcomings, but the public half of the island (eastern), inhabited by indigenous Maldivians, is very clean, well-groomed, quiet, and even there are garbage bins. Vegetation from the opposite side is atmospheric and romantic, playing the role of a local park. The paths in the jungle are wide and shady, which is very nice to go to the distant tip to the bikini beach. 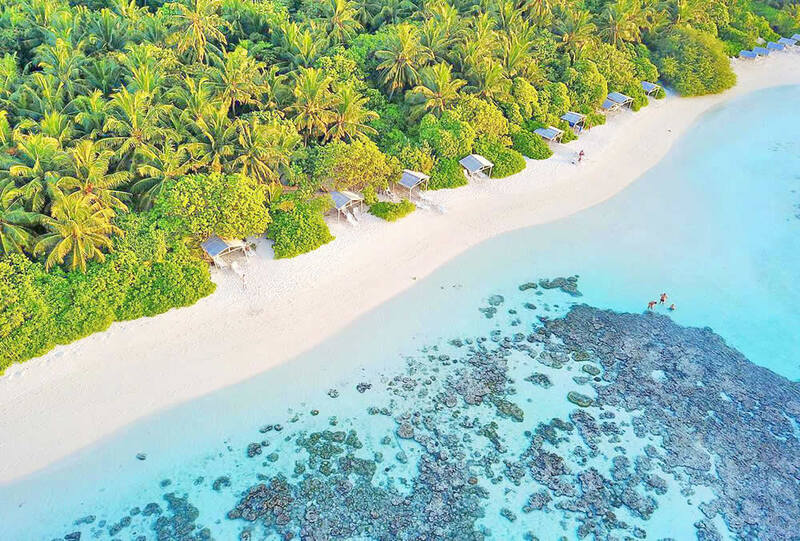 With the best sunset views over Vaavou Atoll, the bikini beach is on the island's northwestern tip and for many it's a favorite spot of the long beach and house reef that stretches along the whole north side of Thinadhoo. This area of ​​soft white sands is for tourists, and here you can swim and sunbathe in a bikini. There is a dress code on other beaches (closed shoulders, knees, etc.). The whole island around has good pieces of sand, except for the area around the seaport on the south side, where the shore is covered with coral fragments and rubble. But on most public beaches and bikini beach you will find fine sands that expand significantly at low tide. On the beach the locals built a canopy of palm leaves and put plastic sun loungers. This is quite unique, because on many other inhabited islands only sand, water and a natural shadow (if any) are left for budget experience. House reef is the main attraction of Thinadhoo. Armed with a mask, snoклуд and fins you do not want to pull your head out from under the water. Colorful reef fish and stunning coral architecture lurk right beneath the ocean's surface close to the beach just 20 meters from the shoreline, and at a comfortable depth of about 2-3 meters. In short - do not miss snorkeling! There is a handful of minimarts on the island sell souvenirs, household items, cookies and chips. On Thinadhoo it is very difficult to find anything to eat outside the hotel. Plumeria Maldives has a great dining options, where yuo can fill for $ 15 - all fare is delicious and satisfying. Quality food, a lot of seafood and fresh fish, large portions and the dishes are beautifully presented - Chef Plumeria - really knows his business. Plumeria's restaurants provide an unforgettable culinary experience for their guests. A world-class cusine with a wide variety. Reviews: "The chef is amazing, everything was very tasty and beautifully decorated, plus if you wanted something, you could ask the chef and the next day he will cook you according to your order ... the chef is a special" thank you "for his wonderful dishes ... Everyone evening dinner on the ocean ... chic lunches from the chef-just a work of art ... ". Reviews for breakfasts and food at Hudhu Raakani Lodge Maldives are also all positive. But outside the hotel - no cafes or eateries. 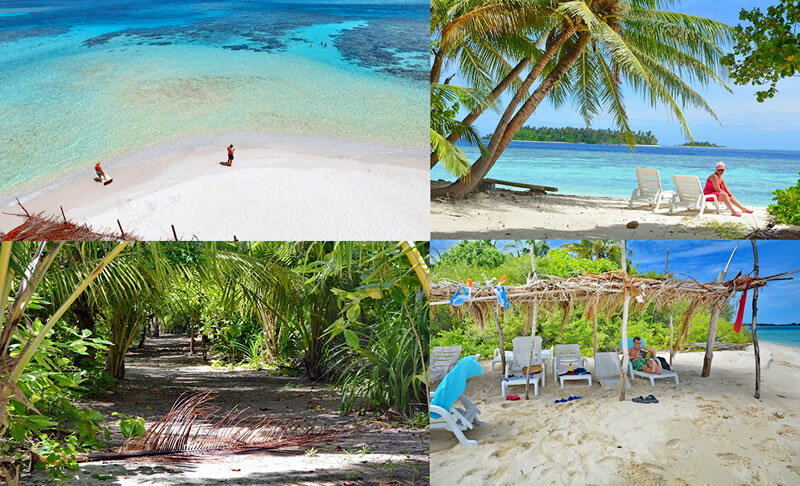 Famouse for its beaches, reefs and sandbanks, Vaavu Atoll is also scuba diving heaven. Protected marine life around Vaavu Thinadhoo has a high biological variability in the Maldives with world class dive sites. Most fun dives are turtles, sharks, rays and pelagic species. The island also has its own house reef with easy access from the beach. 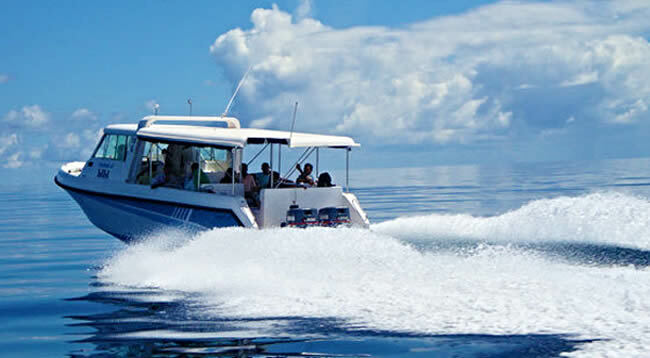 For excursions and diving trips, a 16-meter boat (dhoni) is used. Fish life is abundant in this atoll due to the fact of numerous thila, caves and reefs. PLUMERIA WATER SPORTS AND DIVING CENTRE is the ideal choice for the fun dives and adventure. The PADI certified diving school is fully equipped with SCBUA PRO diving equipment to cater 25 divers at a time and carries PADI courses as well from first-timers to divemaster, including Bubble Maker for kids over 8 year. The diving center offers house reef diving, boat diving and night diving at the best Vaavu's atoll dive sites. Must dive in: Ambara Thila, Dheliya Giri, Dhiggiri House and Dhigiri Kandu. 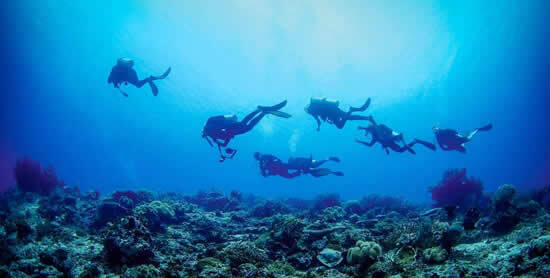 As a DAN member Plumeria Dive Center also provide diving insuarance for scuba divers. The Water Sports Center also offers water sports facilities including snorkeling gear, jet skis, kayaks, sapsurfing, windsurfing, and sailing. Also on offer a wide range of excursions: snorkeling trips, deep sea and night fishing tours, island hopping, sandbanks picnic trips, sunset cruises, and dolphins watching. You will not have time to miss Thinadhoo. Deep sea fishing Big Game Fishing is organized on request. GT, marlin, sailfish, vaahu, barracuda are just some of the top fishing trophies in Vaavu Atoll. Try the night fishing - one of the most popular types of fishing in the Maldives. The boat leaves the island in the afternoon, and anchors on the reef before sunset. Plumeria Spa is a sanctuary with a multitude of ways to improve your mind, body and spirit, from therapeutic spa treatments to relaxing yoga classes. Adopting a different approach to the traditional spa experience, The Spa at Plumeria Maldives offers a series of innovative and restorative treatments inspired by the elements of life, and the ancient traditions of Chinese, Ayurvedic, European, Balinese and Thai cultures. 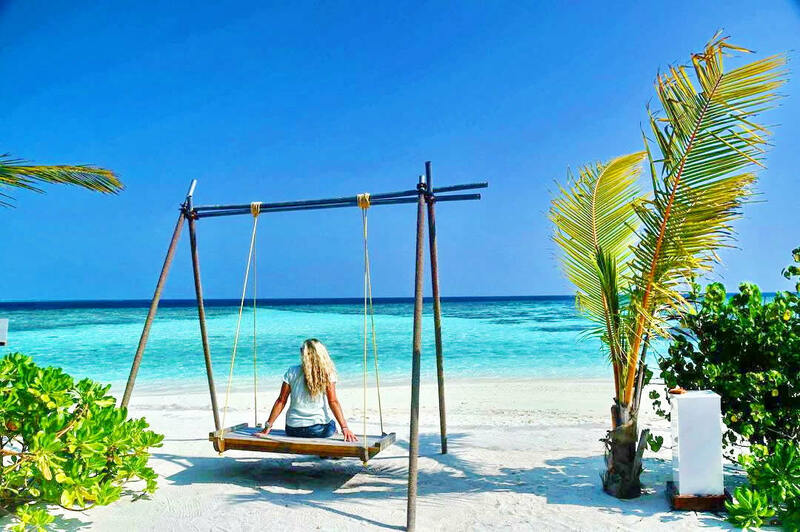 In pauses between diving, snorkeling and fishing, the best way to relax is Thinadhoo's beaches - one of the most beautiful in the Maldives. White sands, crystal clear waters and lots of vegetation in the background - all the components for a perfect selfie on a paradise island. There are no ATMs on the island, so please stock cash in Male. The island is ideal for families with children, couples and those who enjoy diving and snorkeling. Local people prefer to pay in dollars, but you can also pay in local currency. Women outside the beach should dress modestly (cover their shoulders and knees), especially during walks on the residential part of the island. Swimsuits are only allowed on the bikini beach. Like all inhabited islands, the Maldives enjoys a dry law - no alcohol. Apart from Hudhu Raakani Lodge and Oyster Inn, Thinadhoo actually has only one hotel - Plumeria Maldives. Consisting of two large buildings, it is one such, but is great. Firstly, the hotel is new. The clean and spacious rooms are furnished in a modern style, have their own balcony and many rooms with sea views. Inside a standard set of amenities and facilities, including air conditioning, TV, safe, jacuzzi, slippers, bathrobes, white towels, all for tea / coffee + free wifi. 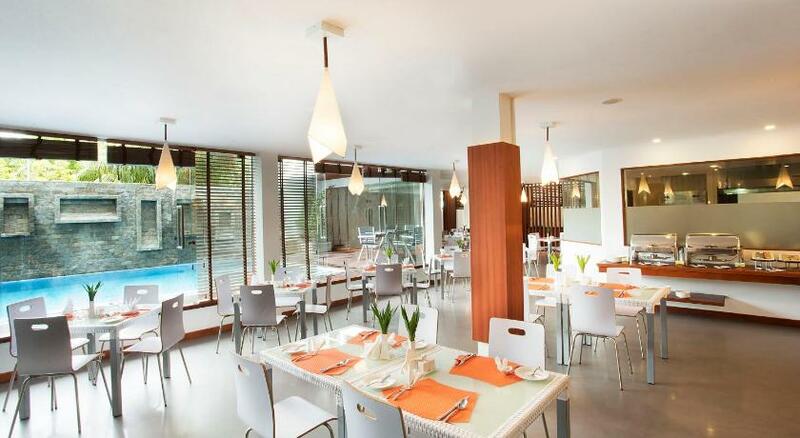 Excellent value for money, there is a swimming pool and half board and full board meal plans. The latter is preferable, since all the guests praise the cuisine and culinary talents of the chef from Indonesia. The staff is very friendly, helpful, good-natured and responsive.